Our online credit score estimator makes it easy to get an idea of the type of auto loan you could qualify for in Des Moines. Learn a little about this important tool, then use it as you work through our financing process, which is open to all drivers regardless of credit. What is a Credit Score Estimator? It’s simply a tool that estimates your current credit score. The estimation may not be perfectly accurate, but it does provide a number close to your official score. Regardless of whether you’re buying or leasing you get a better understanding of the offers lenders are likely to extend. Why Use a Credit Score Estimator? Unless you plan to pay the entire purchase price up front you will need to work with financiers to get a new, used, or leased vehicle. Your credit score determines how willing lenders are to make you an offer and how much money it is likely to include. Whether your credit is bad or good does not ultimately determine whether you get approved, but it does help savvy car-buyers understand more about their deal upfront. 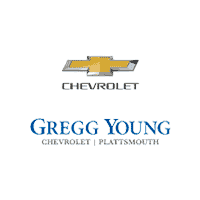 If you want to have a fast, fun, and friendly car-buying experience, work with our dealership in Plattsmouth.